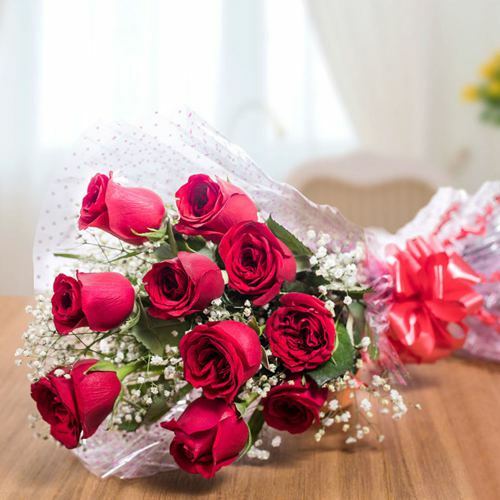 Send Bouquet and Arrangements in Designer Vase of Fresh Flowers like Rose, Lily, Orchids, Gerbera, Carnations, BOP, Anthodium etc on the Same Day to celebrate special occasions like Mother�s Day, Valentine�s Day, Anniversary, Wedding etc in Thiruvanathpuram. 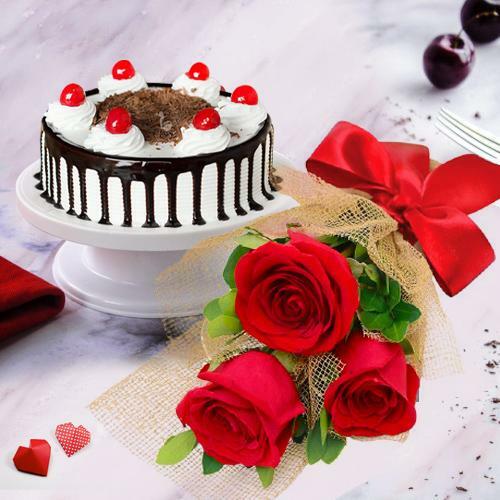 Order Delicious Cake in different flavours like Chocolate, Black Forest, Vanilla, Eggless Pinapple, Cup Cakes from 5 Star Bakery for your loved ones in the city to celebrate Friendship Day, Onam, Easter, Christmas etc. 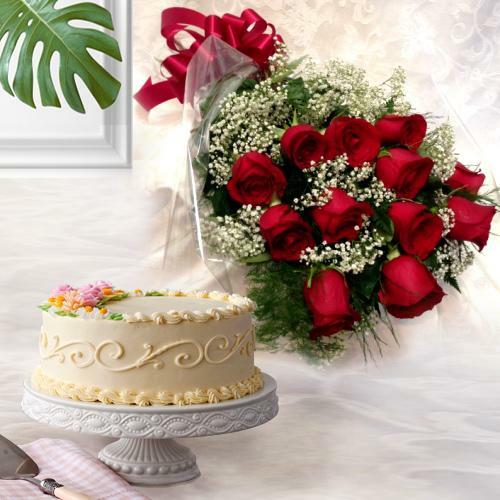 Assured Free Delivery on the Sameday of fresh baked cake from all famous bakeries like Ambrosia at Bakery Junction, Cupcake Noggins at Nanthencode Circle Junction etc. 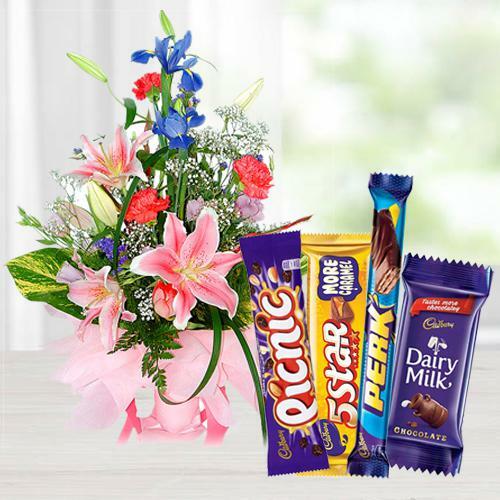 Buy Attractive Floral Gifts at low prices to surprise your Mother, Father, Girl Friend, Boy Friend, Husband, Wife and other loved ones on celebration days like Diwali, Rakhi, Women�s Day, Father�s Day, New Year, Ramadan etc. 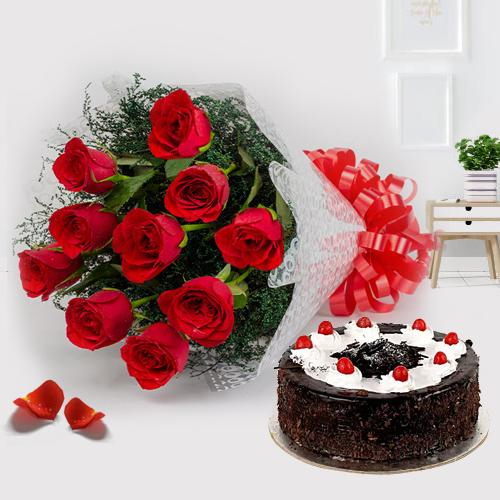 Send Roses with Black Forest Cake to say Thank You or Chocolates n Cakes with Small Teddy to say Sorry to all people in Trivandrum who are close to your heart. 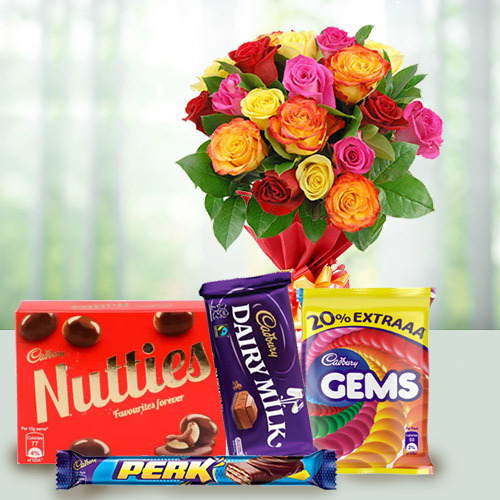 Surprise Him as you Send Gifts, Cakes, Flowers Online to Trivandrum. 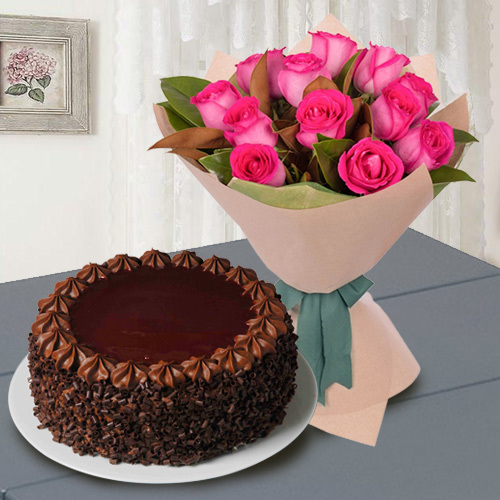 Order Chocolate Bouquet for Her & make the B�day special. 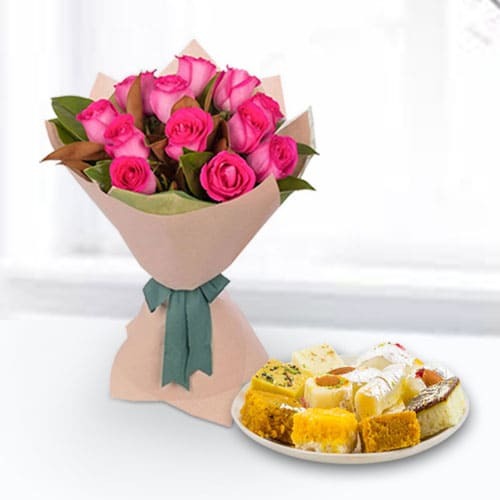 Same Day Delivery of Birth Day Gift Hampers for Kids is possible at Amboori, Kariyam, Nandavanam, MC Road, Kannammoola, Palayam etc in Thiruvanathpuram. 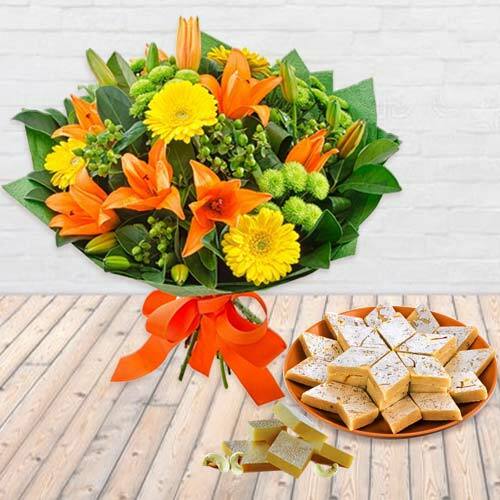 Fresh Flowers Bouquet, Delicious Cakes, Branded Chocolates, Sweets, Fruits Baskets, Combo Gifts all can be delivered on the Same Day. Free Shipping is provided. 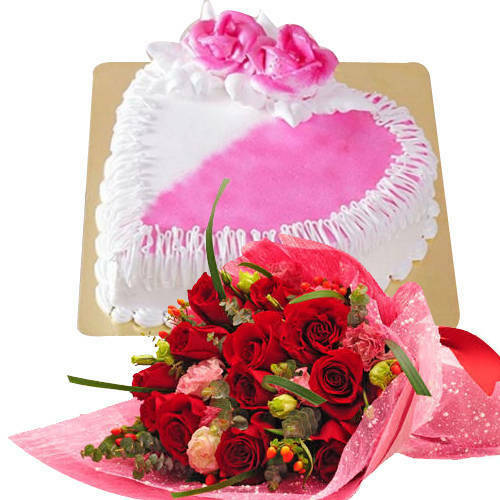 Surprise at Mid-night with the delivery of Online Rose Bouquet, Black Forest Cake with Love Teddy Bear, Balloons, Cards, Candles etc at all localities in Trivandrum. 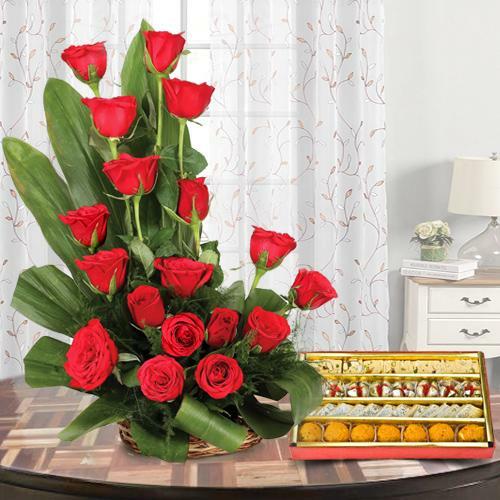 Enthrall the people close to your heart by sending them Pretty Colourful Two Dozen Mixed Roses, Lovely Charming Red Roses combined with mouth-watering Kaju Katli, Colourful Bouquet of Beautiful Flowers and Bright Balloons, Lovely Carnations in a Basket, Stunning Arrangement of 50 Red Roses, Exquisite 18 Red Roses with delicious heavenly Mixed Sweet, Charming White or Creamy Roses with a Vase, Stunning Red Carnations, Lovely Carnations in a Basket, Lovely Orchids in Vase, Bright Colourful Bouquet, Beautiful Charming Assorted Seasonal Flower which comes with all the ingredients necessary to make one happy. 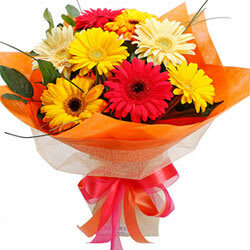 Free Shipping is provided for delivering all Fresh Flower Bouquet & Arrangements at Thiruvanathpuram, Kerala. 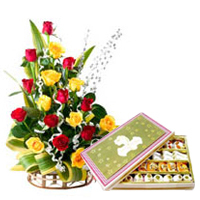 Floral Gifts play a significant role in all celebration. 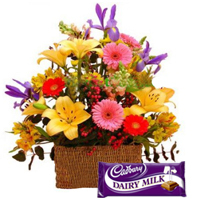 Offer your heartfelt wishes to your dear ones by sending them these Beautiful Arrangements of Gerberas in a big Vase, Gorgeous Carnations, Bouquet of 15 Bright Gerberas, Fascinating Arrangement of Beautiful Mixed Flower, Fascinating Bouquet of One Dozen Gerberas, Charming Colourful Seasonal Flower Basket, Bouquet of Attractive Fresh Orchids, Soft Pink Roses Bunch with delectable Black Forest Cake, Glorious 12 Yellow Roses in a Vase, Radiant Red Roses along with a lovely Heart Shape Balloon Online to Trivandrum, Kerala from UAE, USA, Dubai, Saudi Arabia, Qatar, Kuwait or anywhere in the world and make them feel special. 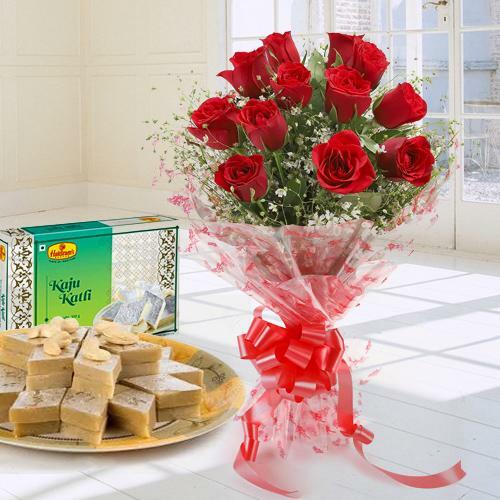 Let your loved ones think only about you by sending them these Exquisite 18 Red Roses with delicious heavenly Mixed Sweets, Charming White or Creamy Roses with a Vase, Excellent Roses, Cadburys Chocolate and Teddy Bear Combo, 24 Archangelic Red Roses, Admirable Red Roses with adorable Black Forest Cake, Bouquet of Spectacular Red Roses, Adorable 2 Dozen Multicoloured Roses with Assorted Dry Fruits, Gorgeous Mixed Roses and a Vase with delish Chocolate Cake, Majestic Arrangement of 150 Dutch Red Roses in Heart Shape, Bright Red Roses and lip-smacking Sweets, Bouquet of Pink Beautiful Roses, Dozen of Glorious Roses with Yummy Chocolate Cake, Dozen of incandescent Roses with nutritious Fruits Basket, Beautiful Bouquet of 40 Red and White Roses from our website containing your love and speaks of exuberance and royalty. 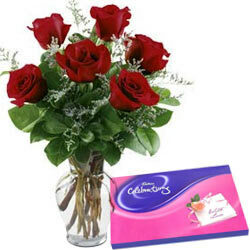 We provide Same Day Delivery of Flowers, Gifts and Cakes at Ambalamukku, Peroorkada, Kunnukuzhy, Ullor, Parotuukonam etc. Surprise your loved ones in Chettikunnu, Killipalam, Palayam, MG Road etc Trivandrum at the stroke of Mid Night. 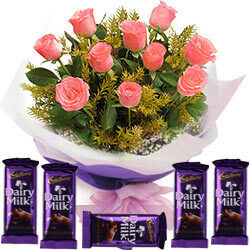 Celebrate each and every special moment of togetherness with your loved ones with these Spectacular Bunch of Fresh Roses and Carnations, Royal Arrangement of Fresh Flowers, Awesome Bouquet of Roses with a delicious Cake, Mixed Cadburys Chocolate and lovely Teddy Bear, Exquisite 18 Red Roses with Delicious Heavenly Mixed Sweets, Stunning Gerberas in Vase, Fresh and Bright Flowers and a cute Teddy Bear, Magnificent Bouquet of Fresh Lilies, Attractive Mixed Gerberas, Glorious 12 Yellow Roses in a Vase that fill the environment with its vibrancy and liveliness. 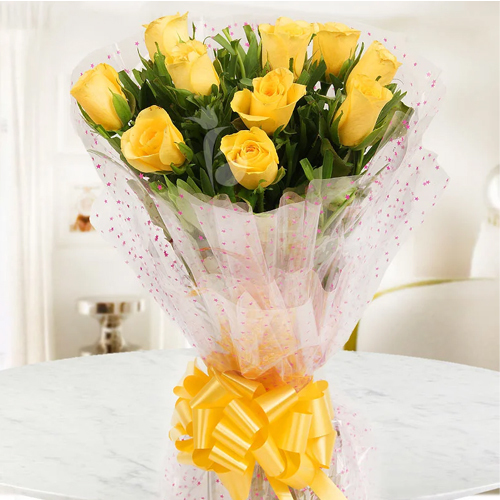 I am glad for shopping from your site as the order was delivered right on time. 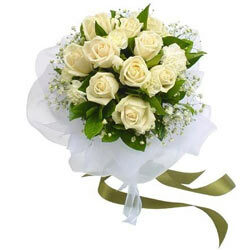 The flowers were a birthday gift and the lovely bouquet was really appreciated by my cousin. Thanks a ton! � Zoya Ahmed, Pune. I just love your service. It was quick and promising. That customer care executive was helpful and she dealt with all my queries quite patiently. Chocolates and Cake tasted fabulous. Thank you. � Mohan Bhatt, Chandigarh. Just want to thank your team for your wonderful customer service. I ordered a basket of roses with chocolates and am pleased with your timely delivery. Keep up the good work. � Amit Mehra, Switzerland. � 2007-2019, www.Thiruvananthapuramflorist.com, All Rights Reserved.